Congratulations to the Magnificent 9! "We're going to follow Julie to the bank... and then we're going to Happy Hour!" 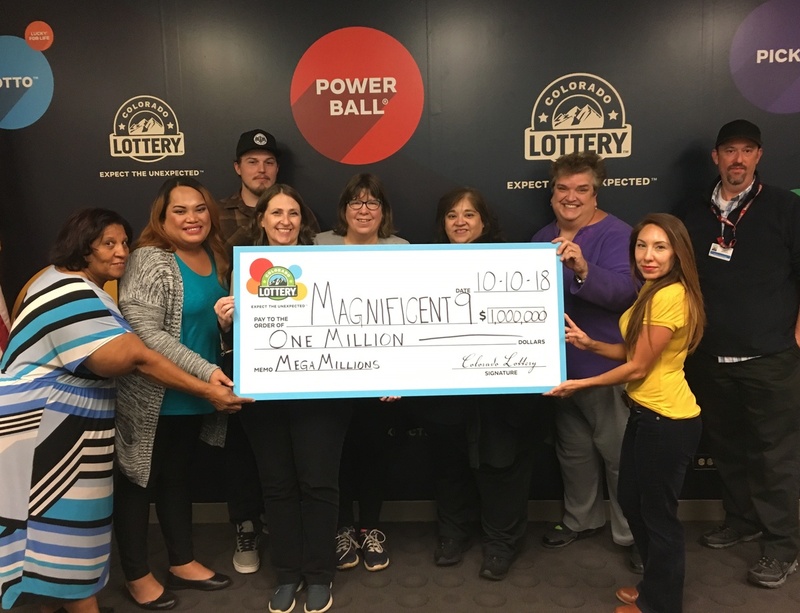 Congratulations to the Magnificent 9, who played Mega Millions in an office pool, which paid off handsomely for them with last night's $1 million win. The crew work together at Kaiser Permanente. 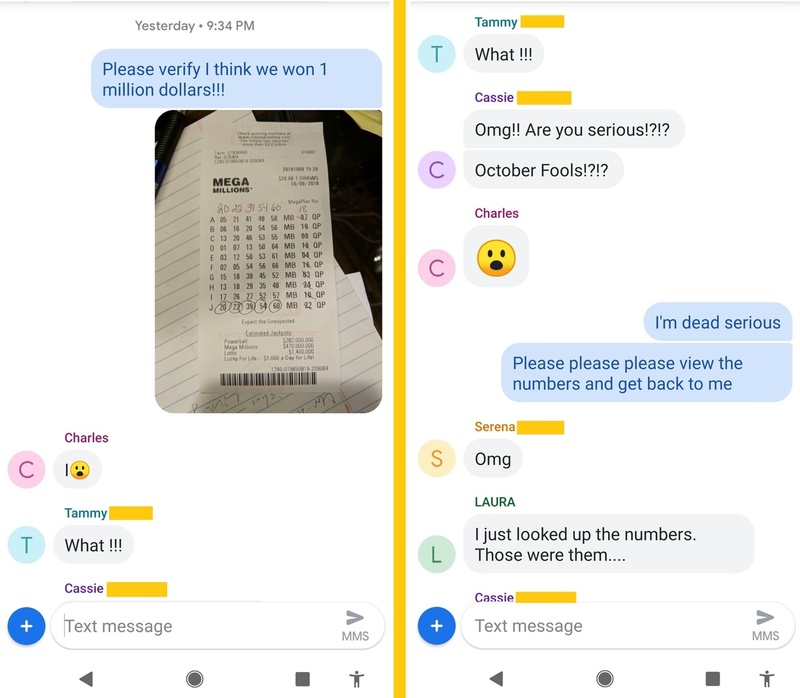 Check out the reactions below when office pool leader Julie texted the group late last night. She and her co-workers are splitting the big prize and of course they are all in for this Friday's $548 million Mega Millions jackpot! The lucky ticket, matching 5 of 6 numbers without the MegaPlier, was purchased at Circle K on S. Peoria in Aurora.